Having the right tools in the wilderness can make a huge difference in how comfortable your stay will become. 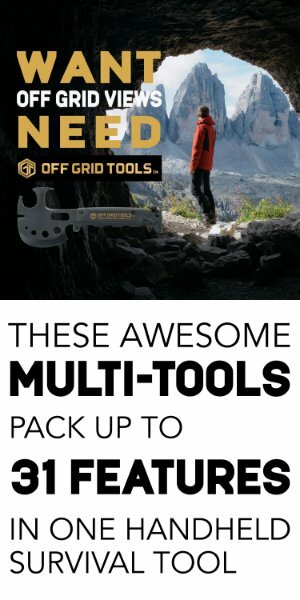 Any of these bushcraft tools can be a great asset to your bushcraft pack. Let’s look at some of the best bushcraft tools you will need for your bushcraft wilderness adventure. A good knife is a mainstay for any Bushcrafter. It has to be sharp, functional, strong and durable. A bushcraft knife should be of high quality and made to last. Good quality steel can make or break a knife, sometimes literally. Choosing a knife with the proper steel for the job is at the core of picking a good bushcraft knife. Please click on product for a full review. An axe is a bushcraft tool that is great for chopping firewood or just clearing an area to settle down for the evening. Having a good sharp axe can make your life out in the bush much easier. A good bushcraft axe should be effective enough to do the job, yet small enough to fit in your pack. Please click on product for a full review. Length with handle: 19 inch, Comes original Gransfors "Axe-book"
In some cases when an axe can’t do the job, a saw is the better option. Having the right saw for cutting wood to make a fire or build a shelter is a must. Today’s saws are very light-weight and compact. Clean drinking water is a vital part of your bushcraft kit. When you are out in the wilderness clean water sources can be hard to find. In most cases, you could boil your water. Water filtration systems have come a long way over the years allowing for very effective purification methods. Having a good water filtration system is crucial to your survival. Please click on product for a full review. A good fire is essential when being out in the bush. It will keep you warm and safe out there in the backcountry. Having the proper tools and knowledge to start a fire is extremely important. Learning how to make a fire using friction techniques, Ferro rods, fire pistons, char cloth and other methods is part of being a good bushcrafter. It can become a matter of life and death. Please click on product for a full review. ✔ EXTRA LARGE 1/2" THICK FERRO ROD - Our 1/2" thick (12.5mm) ferrocerium rod is good for over 23,000 strikes. Because of the larger surface area of our ferro rod you get a larger shower of sparks which means a better chance of fire in even the most damp conditions. Try that with your Bic..
✔ A MUST HAVE PIECE OF GEAR BACKED WITH A LIFETIME GUARANTEE - If you spend anytime outdoors a quality firesteel is a must have. Perfect for bushcraft, firecraft, backpacking, hiking, camping, hunting, fishing, boy scouts, EDC or every day carry, emergency use, bug out bags or BOB's, survival kits, campfires, gas camp stoves, get home bag's, vehicle bags, campers, RV's and anywhere else. Keeping a few around in different kits is always a good idea! Having a good cookset is must have out in the wilderness. Sometimes when building a large fire is not an option, a good cookset and stove can save the day. There is nothing like a hot meal, cup of tea or coffee to warm you up. Please click on product for a full review. With a small stove sometimes it’s nice to take a break where you don’t have to worry about building a whole fire, just to have some hot water. That is when a good wood or gas stove comes in handy. Most of today’s stoves are small, compact and efficient. Please click on product for a full review. LIGHTWEIGHT & FAST BOIL TIME. Boils water in 8-10 mines (34 flu oz. water). 4.25" Diameter, 3.8"/5.7" tall (packed/assembled). Solo Stove weighs only 9 oz. Made of premium stainless steel and chrome wire. Nylon stuff sack included. You should always carry a good map and compass. If available a map of the terrain that you are planning to explore is a great way for you to stay on track. There is nothing worse than being lost. A proper map and compass can help you work your way out of any wilderness area. Having the right bushcraft tools is a good way to stay safe out in the wilderness. Before heading out into the bush you should consider packing some of these bushcraft tools. They can really make the difference.